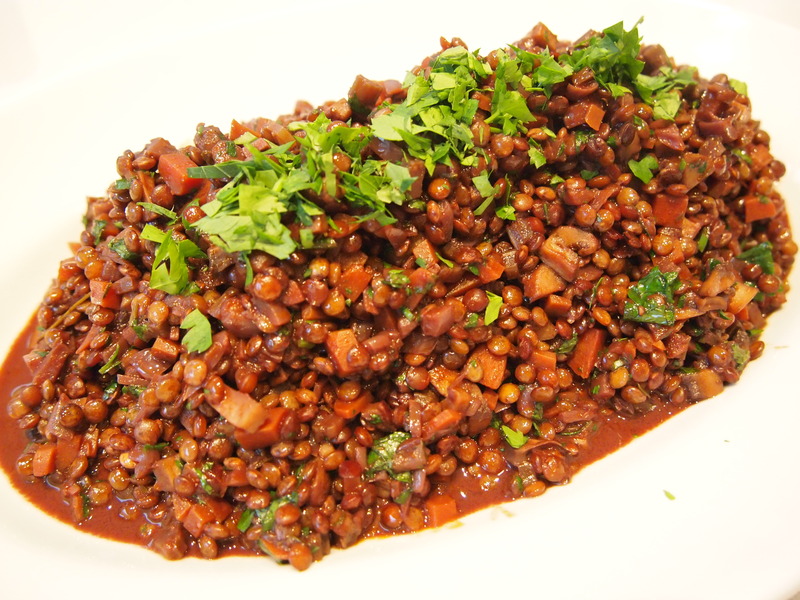 The Puy lentils of France are my favourite lentil. They retain their shape and bite no matter how long they seem to cook for. 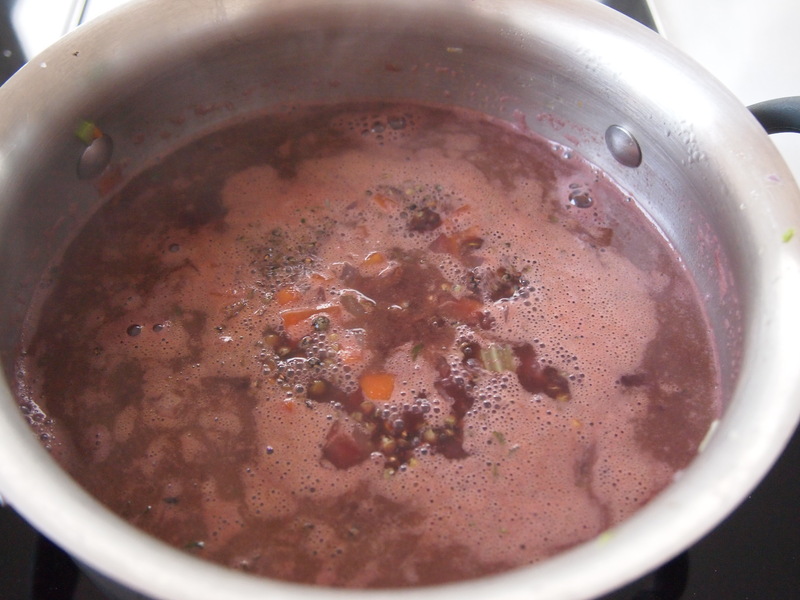 In this recipe red wine and beef stock are the liquids used to cook the lentils and as they reduce down during the cooking time they become a wonderful sticky sauce that coats the lentils beautifully, almost like a demi-glace sauce. I served this with chicken and caramelised shallots (recipe coming soon). I made extra lentils and few nights later warmed them through and added a little bit of red wine vinegar, some diced tomatoes and finely chopped chives and it became a wonderful salad to serve along side some fish. Heat the olive oil in saucepan over medium heat. 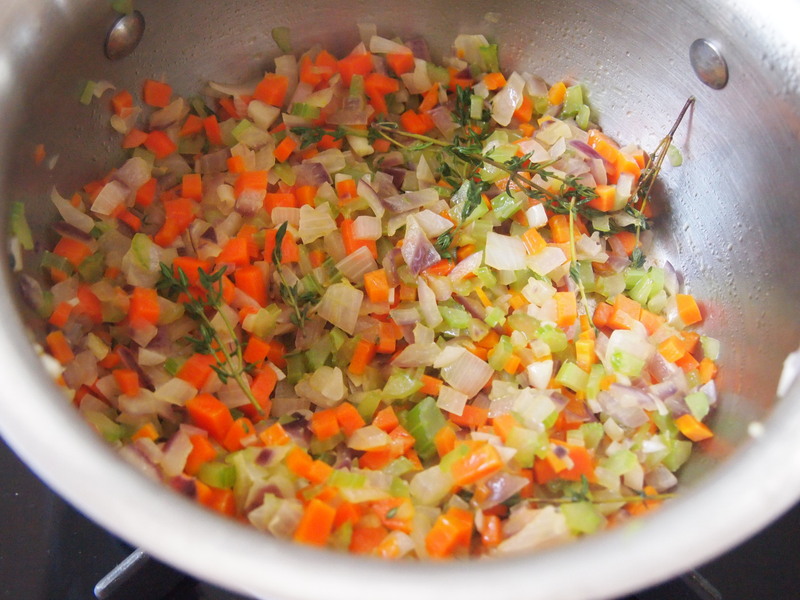 Add the onion, carrot, celery, garlic, thyme and a pinch of salt and cook for about 8 minutes or until all the vegetables are softened. Add the lentils and stir through. Increase the heat and add the wine and stock. Bring to the boil and continue to cook at a rapid simmer, with the lid off, until the liquid has reduced by a third. Lower the heat and cover the pan and continue to cook for 30-40 minutes checking occasionally to make sure the pan hasn’t run dry. 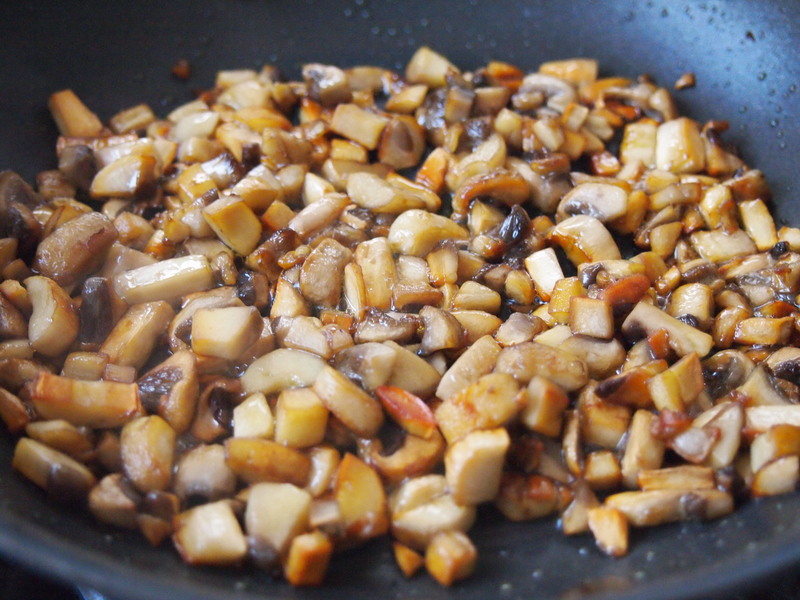 Whilst the lentils are cooking, heat a small frypan with a little olive oil and when hot add the diced mushrooms and cook them until they are soft and golden. Season with salt and pepper and set aside. After 30-40 minutes test the lentils, they should be tender but still have a slight bite to them. 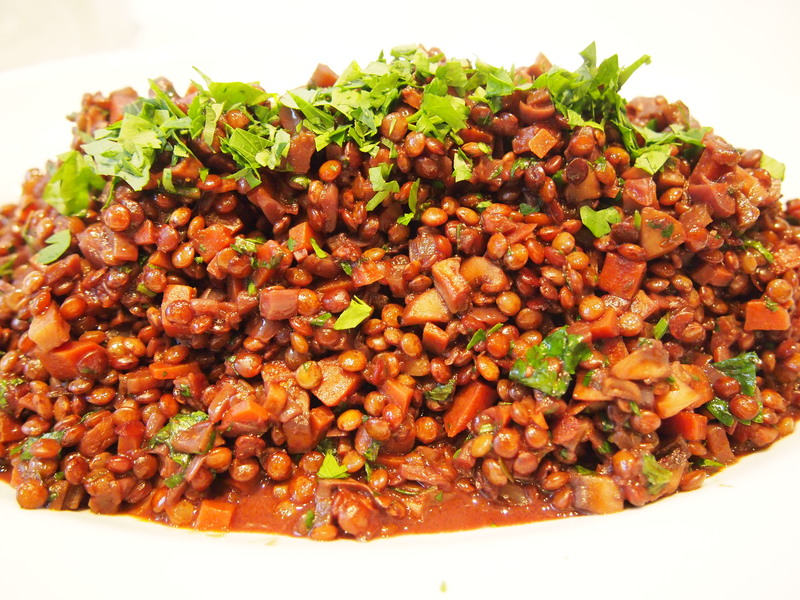 At this stage assess whether the liquid in your pan needs to be reduced more – there should only be a few tablespoons of liquid left to coat the lentils. If there’s more than that, continue to cook over a medium high heat, uncovered, until the liquid in the pan has reduced. Remove the thyme stalks and add the mushrooms along with some finely chopped parsley. Season with salt and pepper and serve on a warm platter with some extra parsley on top.